Each puzzle in round 1 produces the name of a building on the map of the MIT campus. The five buildings can be arranged in the form of a pentagram. 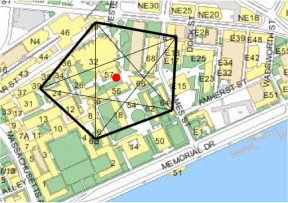 At the center of the pentagram is an entrance to building 57, the MIT Alumni Pool. Going there allows you to sell your soul for a measly coin.